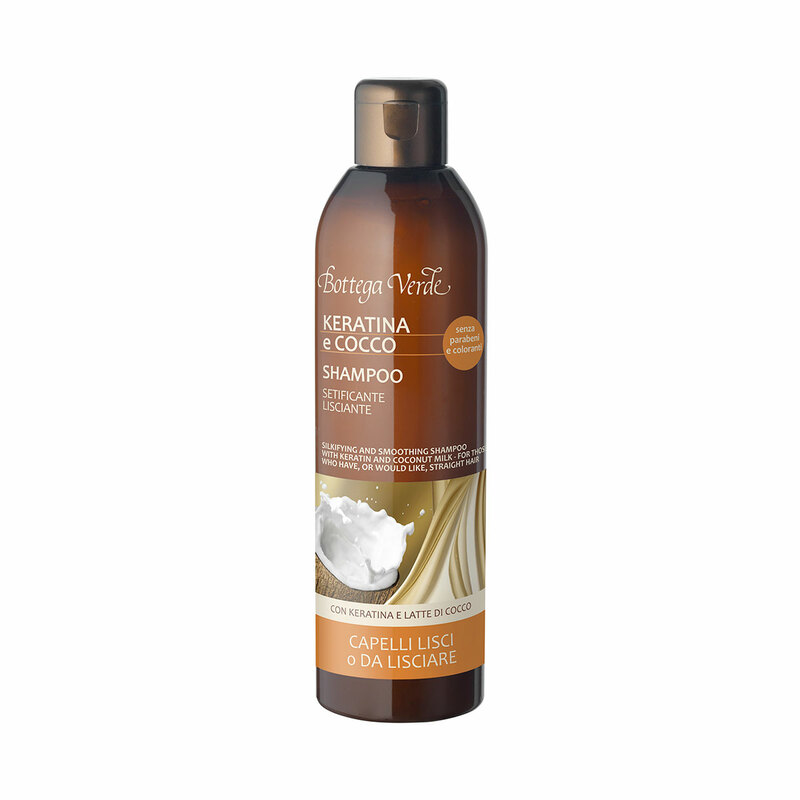 Perfect for washing hair that has a tendency to go frizzy, this shampoo helps you obtain true silky smoothness. The special formula with Keratin, Coconut Milk and smoothing agents offers an anti-frizz action for the full length of the hair. Your hair will be easy to brush, soft, flowing and wonderfully silky after every wash. Perfect for washing hair that has a tendency to go frizzy, this shampoo helps you obtain true silky smoothness. The special formula with Keratin, Coconut Milk and smoothing agents offers an anti-frizz action for the full length of the hair. Direction for use:Massage the product into wet hair until it forms a soft lather. Rinse with plenty of water. Suggestions:For those who have, or would like, straight hair.